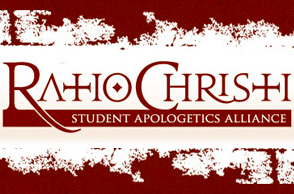 According to their website, Ratio Christi is a global movement that equips university students and faculty to give historical, philosophical and scientific reasons for following Jesus Christ. The group does not have any restrictions on students who can and cannot attend their events. Student members must support the group’s purpose, but Ratio Christi requires that those who lead the Christian organization share its religious beliefs. As a result, UCCS has denied Ratio Christi registered status, stating that the group goes against the university’s non-discrimination policy. There are multiple religious and faith-based groups on campus that are recognized by the school. Groups such as Cru (Campus Crusade for Christ) and Christian Challenge adhere to UCCS’ non-discrimination policy. The lawsuit, Ratio Christi at the University of Colorado, Colorado Springs v. Sharkey, was filed on Nov. 15. In a news release since published by Ratio Christi’s representatives, the Alliance Defending Freedom, ADF Senior Counsel Travis Barham spoke on the issue. According to the ADF, the lawsuit challenges the university’s policy which allows university officials to deny registered status to a group because the organization selects leaders that share and will advocate for the organization’s religious or political philosophy. The lawsuit also identifies ways in which the University of Colorado has treated Ratio Christi differently than other groups. For example, non-religious groups are allowed to select members who support their purposes, such as fraternities and sororities.. Since the initial filing of the lawsuit, the plaintiffs have requested a jury trial.